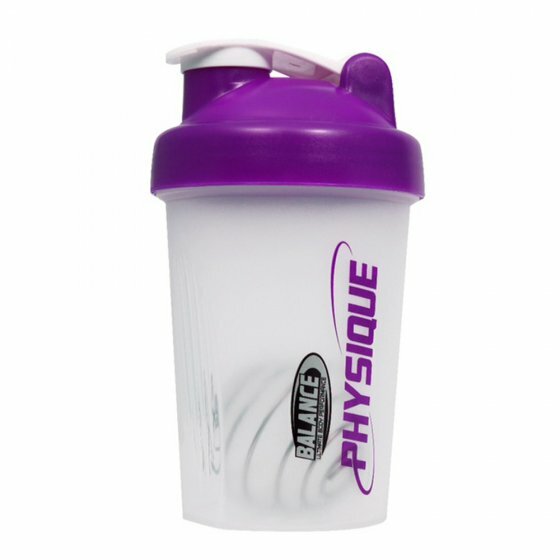 Balance Physique mini shaker is one handy shaker that packs a punch. The Balance Physique shaker contains a unique wire blending ball that acts like a whisk breaking down your supplement powder and dispersing it evenly in the liquid. Shake the mini shaker and the blending ball does the rest for you. The secure screw-on lid (without rubber seal) ensures no spills while shaking and a flip cap for easy drinking. This 400ml mini shaker is easy to use, easy to clean and dishwasher safe.